Why is it important to talk about mental health and wellness? The median time between the onset of mental illness (when symptoms first appear) and when an individual gets appropriate treatment is 10 years. During that time, a person is likely experiencing periods of increased symptomology and periods of wellness. 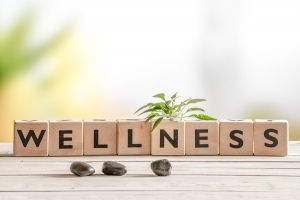 Mental Health and recovery are dependent on an individual’s ability to recognize and manage where they are each day on the continuum between wellness and illness, and to take care accordingly. Education and early intervention promotes wellness and leads to better outcomes. MHANYS is now offering Mental Health and Wellness 101 in 30, 60 and 90-minute training sessions that can be tailored to meet your scheduling needs and for your specific audience. please contact Amy Molloy, Director of Education at amolloy@mhanys.org or (518) 434-0439.